With the increase in population, people have encroached upon the forest areas for shelter and agriculture, resulting in the loss of habitats for wildlife. Due to this diminishing wildlife, the need to protect them has immensely increased over a period of time. Therefore, the government of India has put in their utmost effort to protect these endangered and rare species of animals and plants. Hence, today there are hundreds of sanctuaries within the boundaries of India which are providing these rare species of plants and animals with a proper environment to grow and breed. One such sanctuary is Kamlang Wildlife Sanctuary which is located in the state of Arunachal Pradesh and is one of the least-explored areas in the north-eastern part of the country. Hence, it needs to be explored by every offbeat traveller. So, if you desire to spend some time amid unblemished nature admiring rare birds and animals, then Kamlang Wildlife Sanctuary is definitely a place you mustn't miss. As the climate remains cool and pleasant throughout the year in and around the region of Kamlang Wildlife Sanctuary, it can be visited anytime during a year. However, most of the tourists prefer visiting this wondrous beauty of Arunachal Pradesh from October until the end of March, as during this period, the lush green beauty of the park is at its summit, thereby, making it look more photogenic. Hence, if you are looking forward to witnessing the best of the sanctuary, the best time to visit it is from October until the end of March. Located in the Lohit district of Arunachal Pradesh and spread over an area of about 783 square kilometres, Kamlang Wildlife Sanctuary was established in the year 1989 and is home to hundreds of species of rare and endangered animals and plants. It is known for its beautiful environment, which comprises of waterbodies, hills, plains, grasslands and forests. Therefore, in other words, it can also be called the complete wildlife sanctuary. Where else you can find such an amazing mix of natural beauties? On one hand you can savour the heavenly presence of Glow Lake and on the other hand you can capture the captivating grandeur of colourful species of animals and plants. You can also get yourself to Parasuram Kund, which is an ancient tank from thousands of years ago and is believed to be religious site. Isn't is an interesting place to explore? Kamlang Wildlife Sanctuary is extremely rich in flora and fauna and hence, you can find hundreds of beautiful animals, birds, reptiles, plants and butterflies within its boundaries. The major animals which can be spotted here include Indian leopard, tiger, snow leopard, flying squirrel, wild boar and deer. Apart from animals, you can also witness several species of plants and birds, which include bamboo, gamhar, black myrobalan, hornbill, barwing and parrotbill. By Air: The nearest airport from Kamlang Wildlife Sanctuary is located in Dibrugarh at a distance of about 180 km. 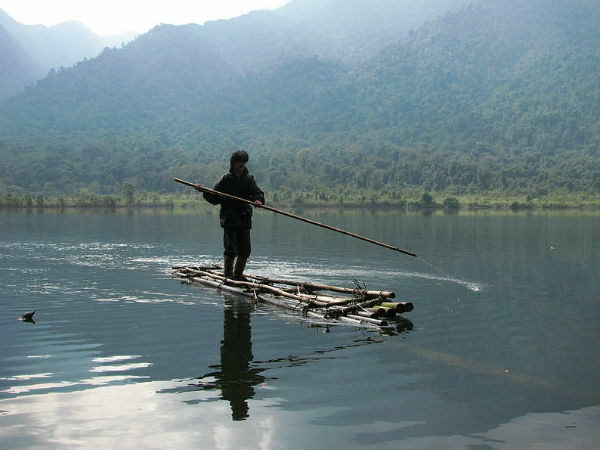 Once you have reached the airport, you can hire a cab to Lohit from where you can easily access Kamlang Wildlife Sanctuary. By Rail: If you desire to travel by rail, then you need to catch a train to Dibrugarh railway station and then from there, a cab to Kamlang Wildlife Sanctuary. By Road: The region in and around Lohit, where Kamlang Wildlife Sanctuary is located, is well connected to other cities by road. Hence, it is easily accessible.